The area known as Lot 1 on Moody Road is leased to the Balgowan Progress Association by the District Council of YP. 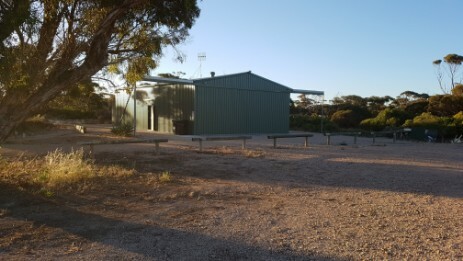 Years ago a shed was built here by the BPA which was named the Joe Williams Shed to recognise the work Joe did in the community. 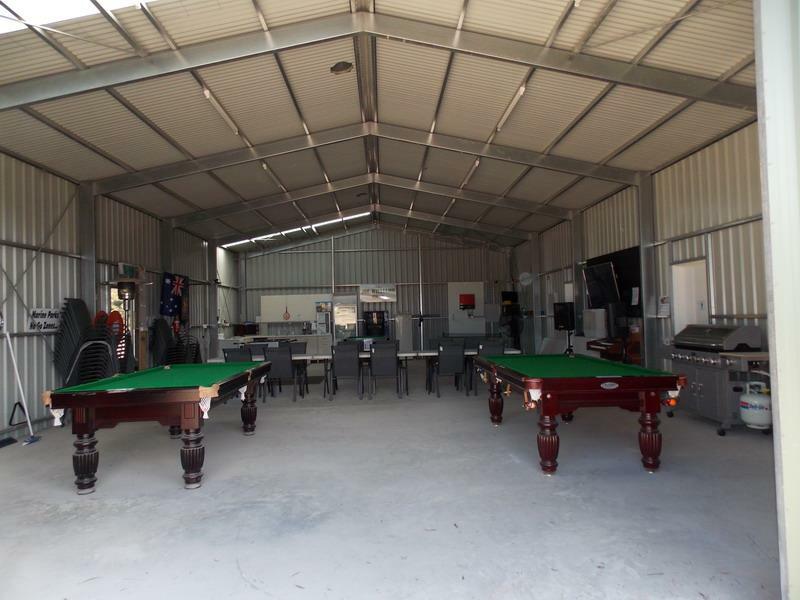 Recently the shed has been set up by the BPA as a recreation area with a large screen tv, sound system, pool tables, other donated games as well as a kitchen. Solar panels help keep its running costs down and toilets have also been added adjoining on the north side. A large BBQ along with tables and chairs are also available. Access has been made available to BPA members via an entry code for the door. It is also available for hire for events and provides a fantastic sheltered area for various events. 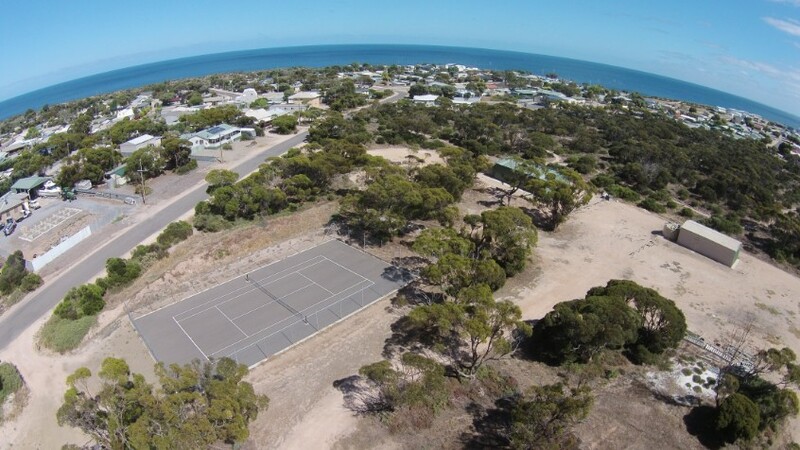 A tennis court was built nearby and is available for anyone to use. The BPA ask that everyone using the facilites treat them with respect and to leave them tidy. 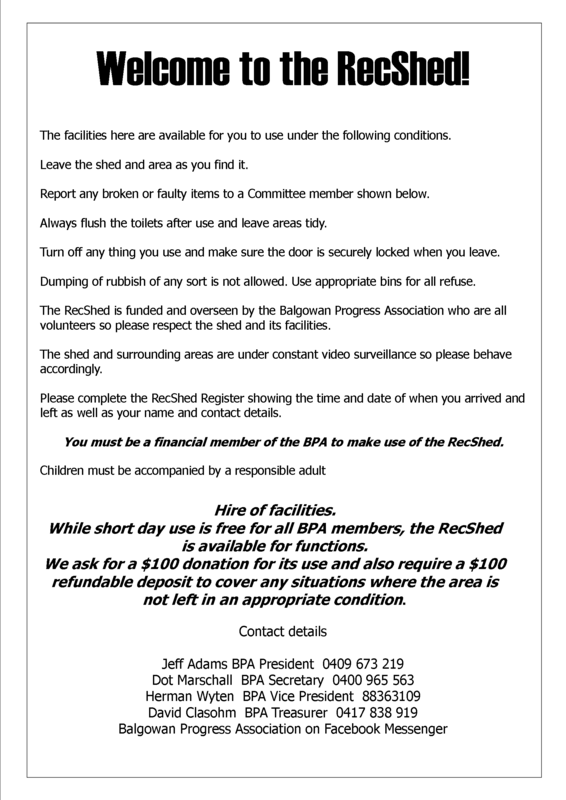 The RecShed is available for all BPA members to use. If you would like to hire the grounds for a function we ask for a $100 donation plus a $100 refundable cleaning fee. Balgowan Progress Association on Facebook.